After 14 ODIs, 19 players trialled, eight victories and a slew of selection twists this summer, the Black Caps have decided on their 15-man squad for the Cricket World Cup. As revealed by the Herald yesterday, Ish Sodhi and Tom Blundell claimed the final two spots in the squad, which was announced in Christchurch this morning. In one of the more debated selections, Sodhi defeated Todd Astle in their competition for the second spinning spot alongside Mitchell Santner, while Blundell came from nowhere to take the back-up wicketkeeping role behind Tom Latham. The rest of the squad, who will have a new coach joining them for the Cup, was largely set in stone for some time. 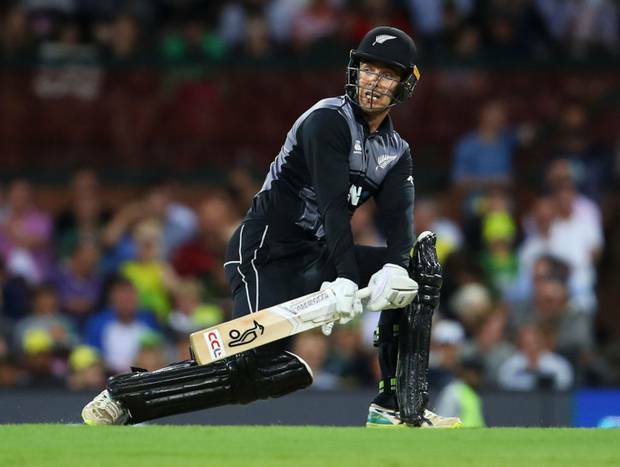 While displaced by Henry Nicholls as Martin Guptill's opening partner, Colin Munro will travel as a back-up batsman and part-time medium pace option, while Colin de Grandhomme and Jimmy Neesham join Santner as the all-rounders in the squad. Matt Henry and Lockie Ferguson's strong summers with the ball will see them join the experienced pair of Tim Southee and Trent Boult as the Black Caps' premier seam options in the UK, while Guptill, Kane Williamson and Ross Taylor will be relied upon as the Black Caps' three most senior batsmen. Black Caps coach Gary Stead said naming the 15 was a tricky process. The selection of Blundell will prove to be the most controversial. The Wellington gloveman has never played an ODI, and doesn't even have a solid domestic one-day record, averaging just 23.8 at a strike rate of 79. He missed this season's domestic one-day competition, and has only played one List A game since February 2018, for New Zealand A against Pakistan. His selection indicates that the Black Caps value having a back-up wicketkeeper with sound glovework, but given that Latham will be expected to play in every game he is fit, Blundell seems to have been taken solely in case of emergency. Comparatively, a player like Tim Seifert could have filled in anywhere in the batting order in case of injury, tactical changes, or sudden loss of form, and would have added value as either a utility back-up batsman, or simply as back-up keeper. Seifert could still be on call as an injury replacement if required, while several other players who missed out on the Cup cut will still be part of the Black Caps' three camps in Christchurch this month, as well as their three warm-up matches against Australia in Brisbane in May. The Black Caps Indian Premier League contingent will be unavailable for those warm-up games, raising the distinct possibility that a player snubbed from the Cup squad could then shine against a full-strength Australian unit. But, the Black Caps have now made their choices, and unless injury strikes, the 15 players who will step foot in the United Kingdom are now locked in. The Black Caps World Cup squad: Kane Williamson, Martin Guptill, Henry Nicholls, Ross Taylor, Tom Latham, Colin Munro, Tom Blundell, Colin de Grandhomme, Mitchell Santner, Jimmy Neesham, Ish Sodhi, Matt Henry, Lockie Ferguson, Tim Southee, Trent Boult.